Your shortest shadow of the year will be on show at noon. 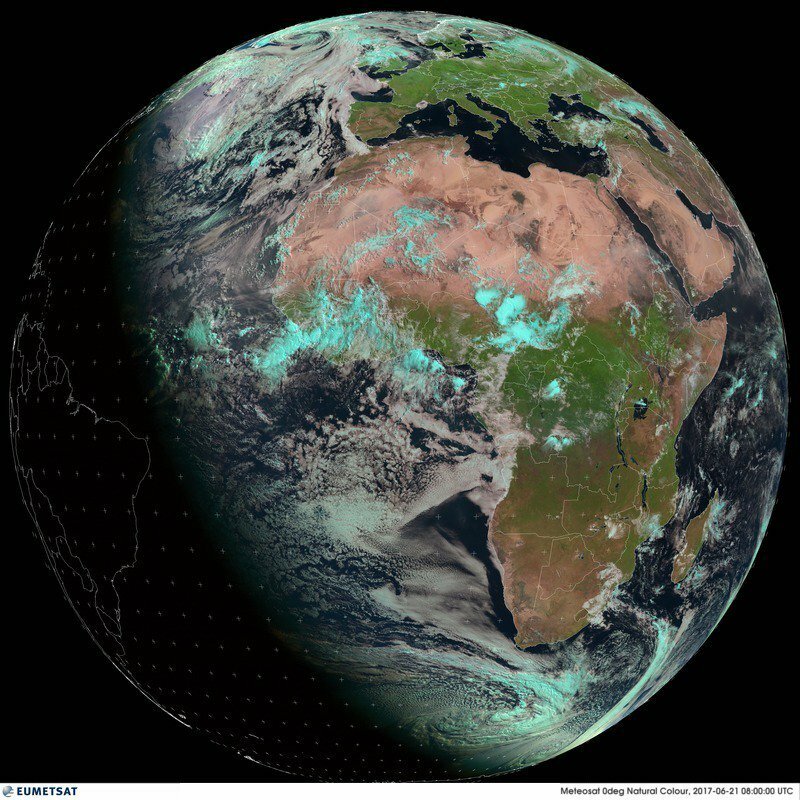 Pic shows light/dark tilt in satellite data from 8am today. The summer solstice (or estival solstice), also known as midsummer, occurs when a planet's rotational axis, or geographic pole on either its northern or its southern hemisphere, is most inclined toward the star that it orbits. On the summer solstice, Earth's maximum axial tilt toward the Sun is 23.44°. This happens twice each year (once in each hemisphere), when the Sun reaches its highest position in the sky as seen from the north or south pole. The summer solstice occurs during the hemisphere's summer. This is the northern solstice in the Northern Hemisphere and the southern solstice in the Southern Hemisphere. Depending on the shift of the calendar, the summer solstice occurs some time between June 20 and June 22 in the Northern Hemisphere and between December 20 and December 23 each year in the Southern Hemisphere. As seen from a geographic pole, the Sun reaches its highest altitude of the year on the summer solstice. It can be solar noon only along that longitude, which at that moment lies in the direction of the Sun from the pole. For other longitudes, it is not noon. Noon has either passed or has yet to come. Hence the notion of a solstice day is useful. The term is colloquially used like "midsummer" to refer to the day on which solstice occurs. The summer solstice day has the longest period of daylight, except in the polar regions, where daytime remains continuous for 24 hours every day during a period ranging from a few days to six months around the summer solstice.